Drop your Chardonnay preconceptions. 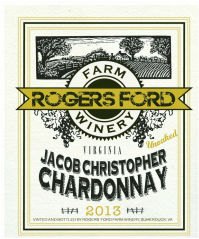 This Virginia Chardonnay is NOT an over-oaked butter bomb. It is big, bright, and lively. This wine is unoaked and crafted completely in stainless steel to preserve the fresh and vibrant fruit character. It is assertive and well- structured with a hint of sweetness and crisp, clean finish. Click above to watch a behind the scenes look at the first few months of the 2015 Chardonnay. 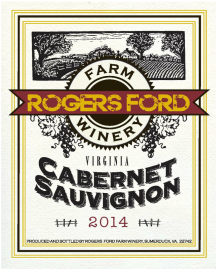 Cabernet Sauvignon is the most recognized name in red wine and our 2014 release is done in the classic style; full-bodied, dry, and aged in oak. Includes black cherry fruit flavors and savory black pepper in the finish. Discover smooth tannins, yet still enough grip for ageability​. This Bordeaux grape has the most color, the most flavor, and the most backbone of its peers. Its big, bold and intense. This brooding wine can even sometimes seem in-your-face and over the top. 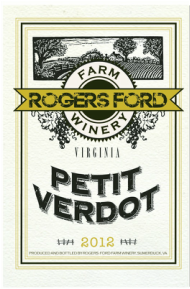 Our 2012 Petit Verdot showcases all the varietal power and majesty of the grape but is more polished and refined than others you may have tasted. You need to try this... it's a skin-fermented white wine. Discover the structure, intensity and intrigue of a red wine without the weight and heaviness. Sometimes these are called "orange" wines because of the golden amber color. They are not made from oranges. This is a very ancient style of wine not some new fad or gimmick. This is what wine might have been like in Biblical times, except for the modern bio-chemistry, and all that good stuff. A rosé should be the color of your lover's lips and just as exciting and delicious. 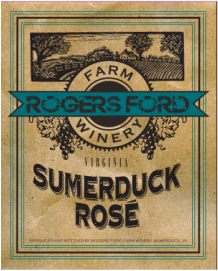 Sumerduck Rosé is a blend of Chardonel and Merlot, off dry, and a real knock-out bombshell. Drink Pink! First Frost Vidal Blanc is allowed extended hang time in the vineyard and picked at the first frost in the fall, when the flavor and sweetness of these Cognac grapes is at at their most intense. Fermentation is halted before all the sugars are converted to alcohol.With the aromas of honeysuckle and flavors of candied pear, this Vidal is an excellent partner to a cheese platter or spicy foods. Click above to watch a video about First Frost Vidal Blanc. 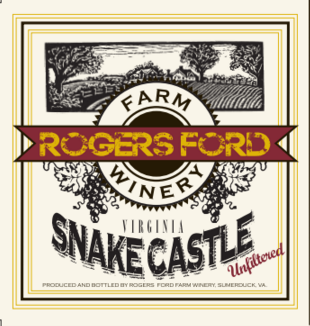 Snake Castle is named after a local landmark on the Rappahannock River. It is a port style wine made from Petit Verdot and fortified with Brandy distilled from our own grapes. It is oak aged, unfiltered, and robust. With hints of cranberry, and clove we call it cranberry spice cake in a glass. 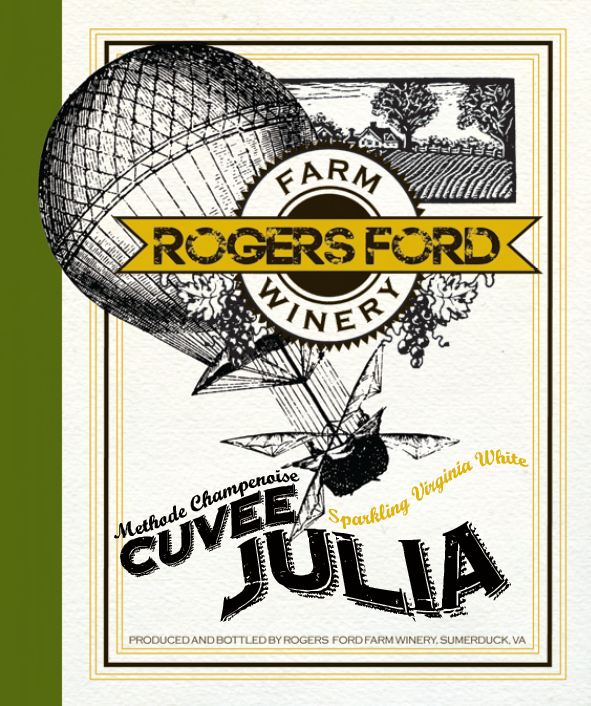 Pop open a Cuvée Julia to celebrate style! This sparkling Virginia Viognier is produced in the most classic and traditional way; a process called “Methode Champenoise.” Which is just a fancy French way to say that fermentation occurs in the very same bottle from which it is served. Traditional method sparkling wine from Virginia.